Wingspan about 10 mm. One of two greyish, unicolourous Argyresthia species, this can be confused with A. laevigatella, although the present species is usually paler grey and slightly smaller, and the two use different foodplants, which be diagnostic, especially if adults are beaten from the foliage. 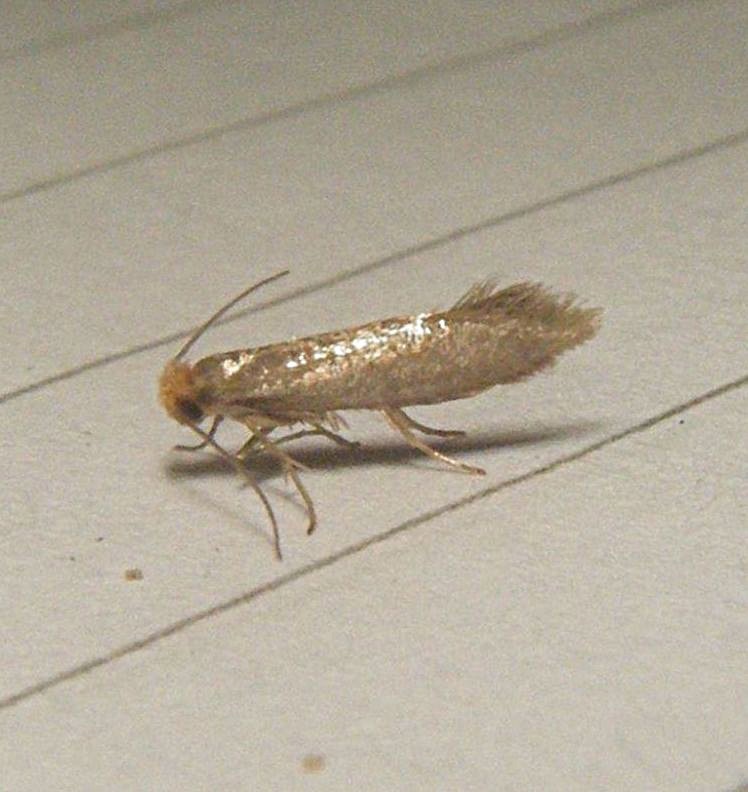 Adult moths are on the wing in May and June, and are attracted to light. The larvae of this species feed on Norway Spruce (Picea abies), mining the shoots and causing them to become discoloured. Present in south and south-east England, with a somewhat more scattered distribution northwards into Scotland. In a recent survey to determine the status of all macro moths in Britain this species was classified as Nationally Scarce B. Rare in Leicestershire and Rutland, the Sapcote record of 10th June 2016 is the first for VC55. L&R Moth Group status = D (rare or rarely recorded).